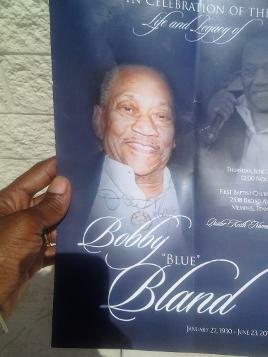 Just click on the funeral program cover photo below of Bobby Blue Bland to view complete funeral program booklet. You can also download the program at no cost to you (FREE). This is a video presentation featuring two news reports, live performance of "Members Only" and photos from the funeral services. You can write comments below.